This is another layout for my Summer Scrapbook class. I designed this layout for a class in 2009, but my dad got sick and the class got cancelled. The base is Sahara Sand with So Saffron and Stampin’ Up! Designer Series Paper in the background. The photo mats are Brocade Blue. 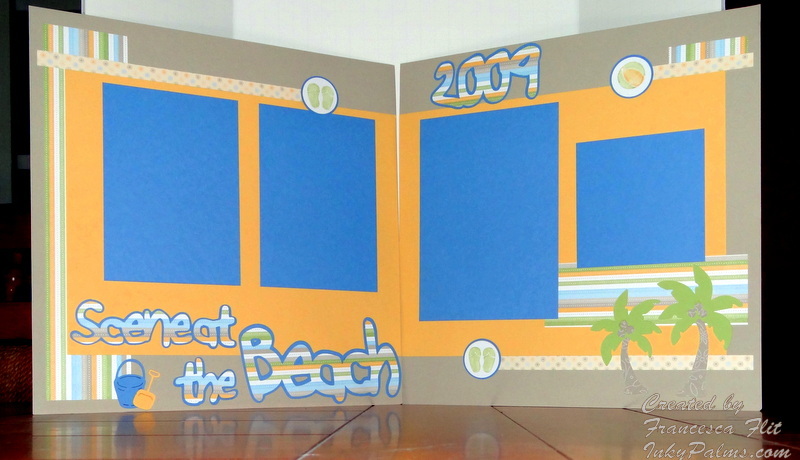 The title was cut with the Cricut, as were the Palm Trees and beach pail. The flip flops and beach ball were stamped in So Saffron and Certainly Celery. Here is a layout I made for today’s Free for All Challenge F4A121 Red, White & Blue. Confession, all the elements were cut for this layout. I was going to do a class with this layout 3 years ago, but my dad got sick and I never did the class. I sold the original sample, but I had another kit ready to be assembled. When I saw this challenge, I dug out the kit and finally put it together! 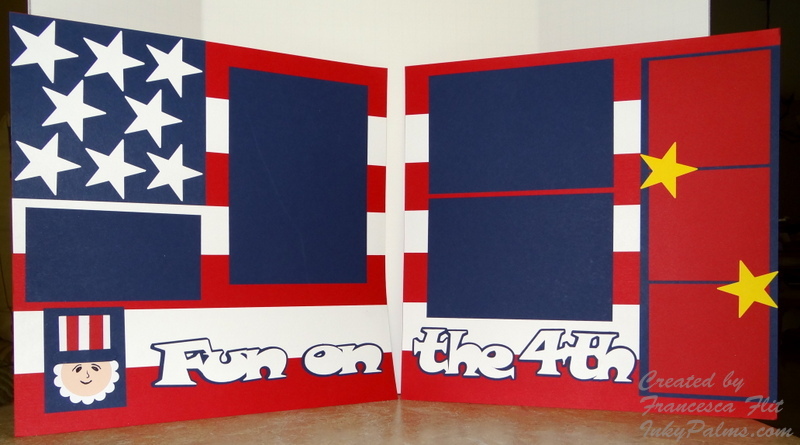 The title was cut with the Cricut and Uncle Sam was made with Stampin’ Up! punches. I think the stars are a Sizzix die, been so long I can’t remember!